You probably already know that your skin needs the nutrients that come from healthy foods. Eating well can improve your complexion and take years off your appearance. Eating whole foods in general will help, but one nutrient can be particularly beneficial. Studies have found that vitamin C can greatly improve the appearance of skin. Here's how to harness its benefits for your skin. According to a study on middle-aged American women by The American Journal of Clinical Nutrition, vitamin C has a number of positive effects. The study examined over 4,000 women and found that an increase in vitamin C reduced the likelihood of wrinkles, regardless of factors such as age, race, sunlight exposure, menopausal status, and other lifestyle factors. Vitamin C helps with collagen synthesis, cell regeneration, and wound repair. So it's very important to keeping skin looking young. Adding foods high in vitamin C is a great way to reap the benefits of this nutrient. Try kale, broccoli, cauliflower, peppers, kiwi, strawberries, citrus fruits such lemon, orange and grapefruit, and papaya. But you don't have to stop there. You can also apply vitamin C topically. This can be effective in preventing wrinkles and improving skin appearance. 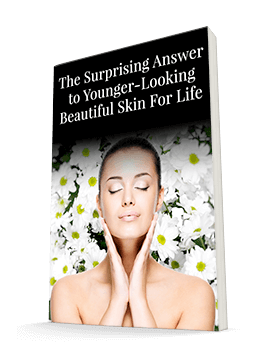 The epidermis, or top layer of the skin, is affected by the sun and other environmental agers. Vitamin C, combined with antioxidants and flavonoids, can provide protection from the sun and help clear your skin of damaging free radicals. When you add vitamin C-rich foods to your diet, not only will you be consuming foods that are great for your waistline, you'll be avoiding fine lines as well. Look for this vitamin in both the skincare and the produce aisle to achieve maximum results. You'll find that most of the products in the Systéme 41 Skin Care Kit contain vitamin C as ascorbate, as well as the unique Tetrahexyldecyl Ascorbate. Tetrahexyldecyl Ascorbate is a very stable, oil-soluble vitamin C ester, which has anti-oxidant activity, inhibiting lipid peroxidation. Topical use can reduce the damaging effects of UV exposure. Studies have shown it to stimulate collagen production as well as clarify and brighten the skin by inhibiting melanogenesis (the production of pigment) thereby promoting a more even skin tone. Unlike ascorbic acid, it will not exfoliate or irritate skin. Systéme 41 is unique in that it combines vitamin C ascorbate (enough to do the job but not enough to irritate) with the less irritating Tetrahexyldecyl Ascorbate to get the full, healthy messaging to your skin.